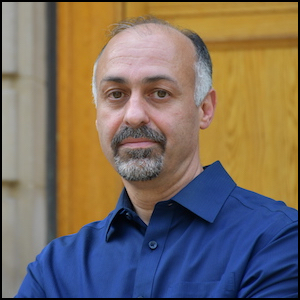 Mojtaba Mahdavi is the ECMC Chair in Islamic Studies and Associate Professor of Political Science at the University of Alberta. He is the author and editor of numerous works on post-Islamism, contemporary social movements and democratization in the Middle East and North Africa (MENA), postrevolutionary Iran, and modern Islamic political thought. 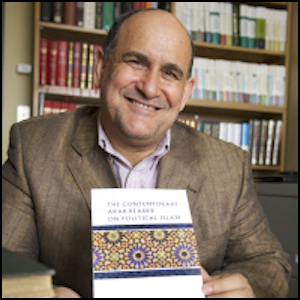 He is the co-editor of Towards the Dignity of Difference: Neither ‘End of History’ nor ‘Clash of Civilizations’ (2012) and the guest editor of Contemporary Social Movements in the Middle East and Beyond – Sociology of Islam (2014). Dr. Mahdavi is currently working on three book projects: The Myth of ‘Middle East Exceptionalism’: The Unfinished Project of MENA Social Movements; Towards a Progressive Post-Islamism: Neo-Shariati Discourse in Postrevolutionary Iran; and Rethinking China-Middle East Relations in the Age of Neoliberalism. Ibrahim M. Abu-Rabi‘ (1956-2011) was Professor and the first Edmonton Council of Muslim Communities (ECMC) Chair in Islamic Studies in the Department of Political Science, and Department of History & Classics at the University of Alberta, Edmonton, Canada. His primary areas of academic specialization were the Middle East and International Relations. He received his bachelor of arts from Birzeit University on the West Bank, earned two master’s degrees in the United States — one in political science at the University of Cincinnati and another in religious studies at Temple University — and earned his PhD in Islamic Studies at Temple University in 1987. Prof. Abu-Rabi‘ was a prolific author and editor of numerous scholarly books. Among them are: The Contemporary Arab Reader on Political Islam (Pluto/University of Alberta 2010); Theodicy and Social Justice in Modern Islamic Thought (Ashgate 2010); Spiritual Dimensions of Bediuzzaman Said Nursi’s Risale-i-Nur (SUNY 2008); Contemporary Islamic Conversations: M. Fethullah Gulen on Turkey, Islam, and the West (SUNY 2008); The Blackwell Companion to Contemporary Islamic Thought (2006); Contemporary Arab Thought: Studies in Post-1967 Arab Intellectual History (Pluto 2005); Islam at the Crossroads: On the Life and Thought of Bediuzzaman Said Nursi (SUNY 2004); Modernlik ve Cagdash Islam Dushuncesi (Yonelish 2003); Intellectual Origins of Islamic Resurgence in the Modern Arab World (SUNY 1996); and The Pearls of Wisdom by the North African Mystic Ibn al-Sabbagh (SUNY 1996). He also translated several books from English into Urdu, Turkish, Arabic, Bosnian, and German, and from Arabic into English.